In addition, landscape mulches should be readily available, affordable, and easy to apply and replace. A review of the literature on landscape mulches (Chalker-Scott, 2007) determined that organic mulches are overall the best choice, with deep layers of coarse woody material providing most or all of the above-listed benefits. Arborist wood chips (created from leaves and branches chipped up by tree service companies) are a particularly good option as they are generally inexpensive and easy to obtain anywhere trees are managed. 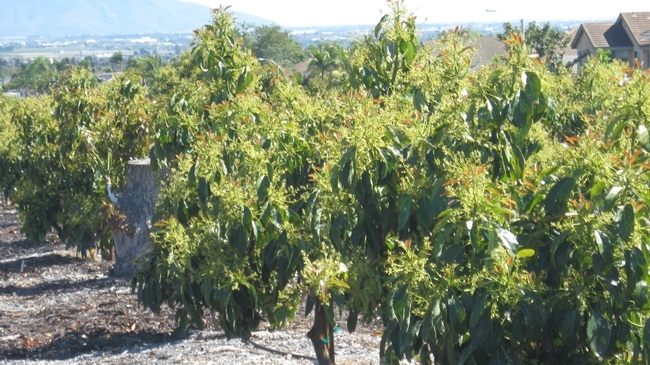 University of California (UC) researchers and private industry consultants have invested much effort in correlating optimal citrus tree growth, fruit quality and yield to concentrations of necessary plant nutrients in citrus (especially orange) leaf tissue. The grower can remove much of the guesswork of fertilization by adhering to UC recommendations of critical levels of nutrients in the tissues of appropriately sampled leaves. 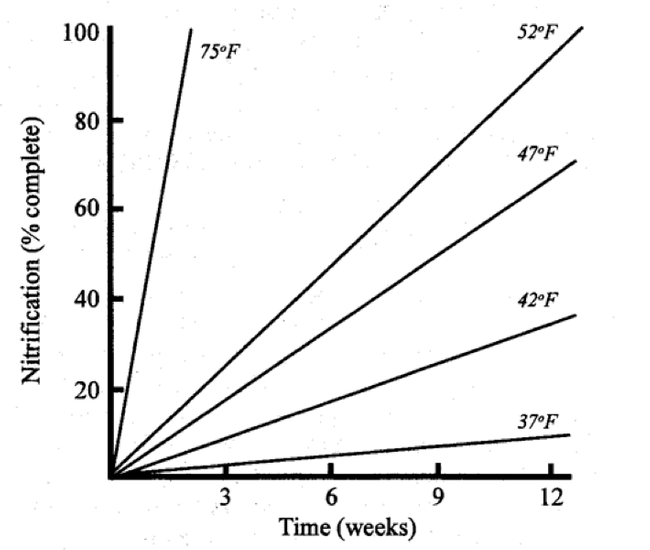 Optimal values for elements important in plant nutrition are presented on a dry-weight basis in Table 1. Adding them in appropriate rates by broadcasting to the soil, fertigating through the irrigation system or spraying them foliarly may correct concentrations of nutrients in the deficient or low range. Compared to the cost of fertilizers, and the loss of fruit yield and quality that can occur as a result of nutrient deficiencies or excesses, leaf tissue analysis is a bargain. At a minimum, the grower should monitor the nitrogen status of the grove through tissue sampling on an annual basis. Leaves of the spring flush are sampled during the time period from about August 15 through October 15. Pick healthy, undamaged leaves that are 4-6 months old on non-fruiting branches. Select leaves that reflect the average size leaf for the spring flush and do not pick the terminal leaf of a branch. Typically 75 to 100 leaves from a uniform 20- acre block of citrus are sufficient for testing. Generally, the sampler will walk diagonally across the area to be sampled, and randomly pick leaves, one per tree. Leaves should be taken so that the final sample includes roughly the same number of leaves from each of the four quadrants of the tree canopy. Values in Table 1 will not reflect the nutritional status of the orchard if these sampling guidelines are not followed. Typically, citrus is able to store considerable quantities of nutrients in the tree. Sampling leaves from trees more frequently than once a year in the fall is usually unnecessary. A single annual sample in the fall provides ample time for detecting and correcting developing deficiencies. Table 1. Mineral nutrition standards for leaves from mature orange trees based on dry-weight concentration of elements in 4 to 7 month old spring flush leaves from non-fruiting branch terminals. *California and Florida recommendations for K are sufficiently different that they are presented separately. The California standards are based on production of table navels and Valencias, and those for Florida were developed primarily for juice oranges like Valencia. The sampled leaves should be placed in a paper bag, and protected from excessive heat (like in a hot trunk or cab) during the day. If possible, find a laboratory that will wash the leaves as part of their procedure instead of requiring the sampler to do this. Leaf samples can be held in the refrigerator (not the freezer) overnight. Leaves should be taken to the lab for washing and analysis as quickly as is feasible. Often separate samples are taken within a block if areas exist that appear to have special nutrient problems. 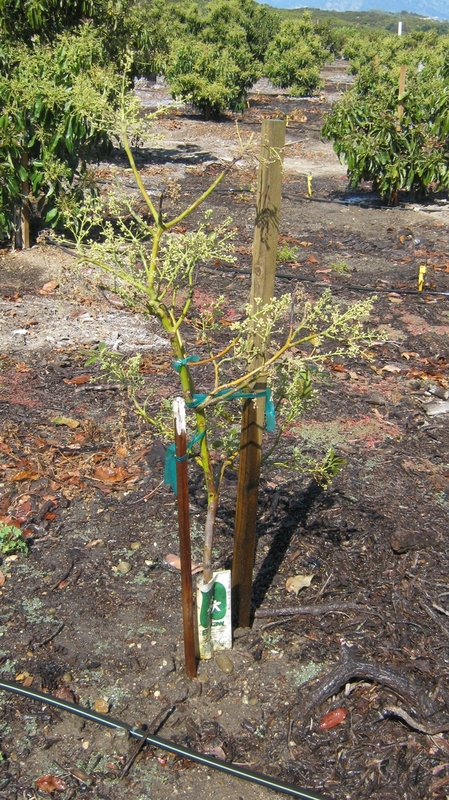 The temptation encountered in sampling areas with weak trees is to take the worst looking, most severely chlorotic or necrotic leaves on the tree. Selecting this type of leaf may be counter-productive in that the tree may have already reabsorbed most of the nutrients from these leaves before they were sampled. 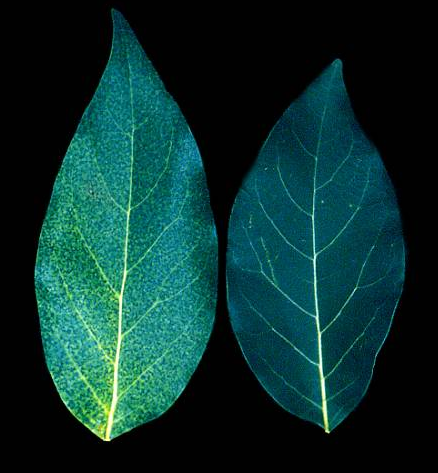 A leaf-tissue analysis based on leaves like this often results in a report of general starvation, and the true cause of the tree decline if the result of a single nutritional deficiency may not be obvious. Often in weak areas, it is beneficial to sample normal appearing or slightly affected leaves. If the problem is a deficiency, the nutrient will, generally, be deficient in the healthy-looking tissue as well. Groves of early navels that are not normally treated with copper and lime as a fungicide should include an analysis for copper. 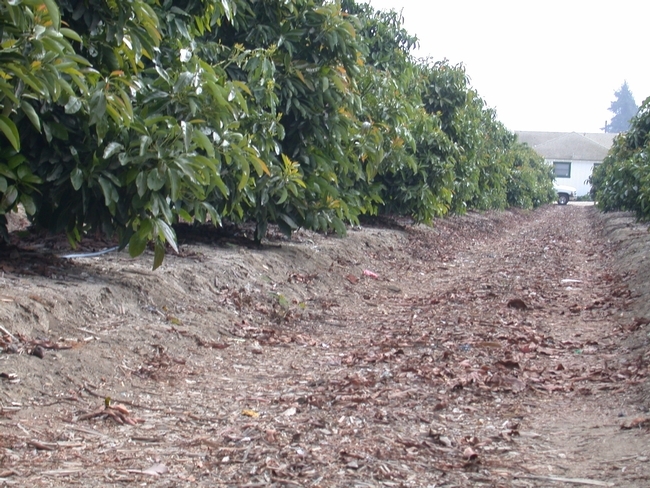 Copper deficiency is a real possibility on trees growing in sandy, organic, or calcareous soils. For later harvested varieties, leaves should be sampled before fall fungicidal or nutritional sprays are applied because nutrients adhering to the exterior of leaves will give an inaccurate picture of the actual nutritional status of the tree. Usually leaf samples taken from trees deficient in nitrogen will overestimate the true quantity of nitrogen storage in the trees. Trees deficient in nitrogen typically rob nitrogen from older leaves to use in the production of new leaves. Frequently, by the time fall leaf samples are collected in nitrogen deficient groves, these spent spring flush leaves have already fallen. Nitrogen deficient trees typically have thin-looking canopies as a result of this physiological response. Since the spring flush leaves are no longer present on the tree in the fall when leaves are sampled, younger leaves are often taken by mistake for analysis. These leaves are higher in nitrogen than the now missing spring flush leaves would have been and provide an inaccurately higher nitrogen status in the grove than actually exists. Critical levels for leaf-nitrogen for some varieties of citrus, like the grapefruits, pummelos, pummelo x grapefruit hybrids and the mandarins, have not been investigated as well as those for oranges. However, the mineral nutrient requirements of most citrus varieties are probably similar to those for sweet oranges presented in Table 1, except for lemons, where the recommended nitrogen dry-weight percentage is in the range of 2.2- 2.4%. A complete soil sample in conjunction with the leaf sample can provide valuable information on the native fertility of the soil with respect to some mineral nutrients and information on how best to amend the soil if necessary to improve uptake of fertilizers and improve water infiltration.